Cutting-edge windows, inspired by traditional values. Our aluminium windows utilise high quality and high performance technology which is currently the best available on the market, with profiles by Origin, Smart, Schuco and Reynaers. We only work with the very best manufacturers and are focused on providing the best quality products at cost-effective prices. Aluminium windows provide you with slim profiles that maximise external views, which is ideal for those wishing to make the most of scenic vistas and outdoor areas. Whether you choose aluminium or uPVC will depend on your property and which option you feel gives the best value for money. Aluminium windows are one of the most sought after home improvement products, due to the lightweight frames and incredible durability and strength. Aluminium windows benefit from slim sight lines that allow for greater flexibility as well as customisation, so that your windows can complement your property type. The introduction of polyamide technology has taken the energy performance of aluminium windows to a new level, which is a major benefit for homeowners looking to keep their energy costs down. Aluminium windows have a long life span and are resistant to weathering, making them immune to rotting and warping. They also provide a low maintenance approach, with very little upkeep needed to keep them in optimum condition. We only work with the highest quality profiles and are proud to offer a thorough and professional service to all of our clients in Epsom, Banstead, Leatherhead, Sutton and surrounding areas. 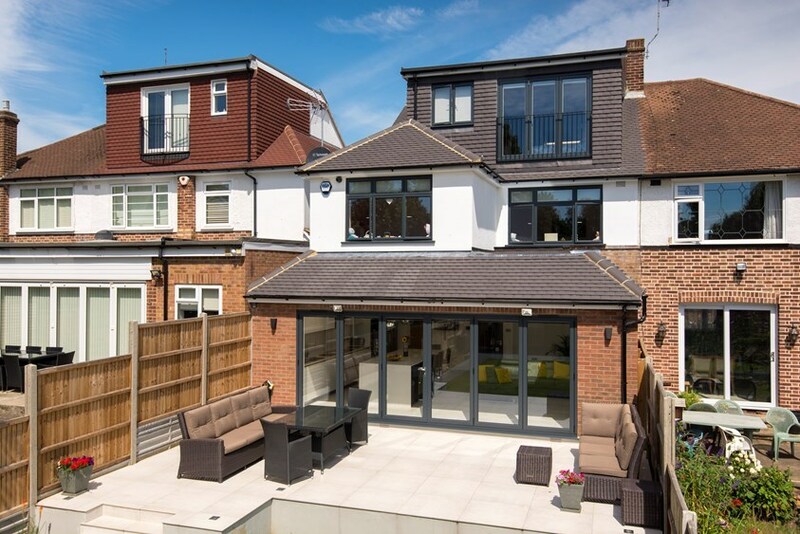 Aluminium windows offer a luxurious and appealing look to any property type, as well as being incredibly flexible when it comes to customisation. You can have the framework in any colour choice you like and, if you wanted to, you could opt for a different colour for the internal frame to perfectly match the interior of your property. Aluminium is a sustainable material that is 100% recyclable. Aluminium windows therefore not only help reduce energy usage and costs, they also lower your carbon footprint quite effectively. This guarantees a home that offers a warm and inviting environment for all of the family to enjoy all year round. Our aluminium window range offers excellent strength and impressive durability. You can choose to have larger windows to maximise the amount of light that enters your home without compromising on weatherproofing and safety. Aluminium windows add a brilliant focal point to your home that any visitor or guest will marvel at. We can also provide obscured privacy glass for bathrooms, ground floor windows which face straight out onto the street, and other places where you might want some extra privacy. We offer several different patterns of this type of glass, such as Contora or Satin, because we truly believe that you should be able to find what fits your interior style for every aspect of our windows. There are a number of aluminium windows to choose from, depending on the look and feel as well as the functionality that you are after. Casement aluminium windows, for example, are a traditional option and offer a stylish appeal to traditional or contemporary properties. Other types such as bow and bay aluminium windows, gable windows, tilt and turn windows and more, provide you with the ability to choose a window style that best matches your personal taste as well as your property features. All of our aluminium windows offer clean and simple aesthetics and are made using flexible and advanced manufacturing techniques. There is no compromise between getting the perfect look that you want and the strength and security your home deserves. You shouldn’t expect anything less than perfect aesthetics and high performance functionality. All of our aluminium windows come with built in high security locking systems to give you peace of mind about the protection of your home. We know that the security of your property is important, which is why we provide state-of-the-art multi-point locking functionality by default. You can use our online contact form to get in touch about the pricing of our aluminium windows. We provide competitive and fair quotes based on the specifications you have. We can provide affordable cost-effect solutions for your home improvement project. Transforming your home with aluminium windows doesn’t have to be costly, we can offer solutions that will fall within your set budget. If you require more information about our aluminium window products, our helpful team can help by talking you through our range and options available to you. We look forward to hearing from you.